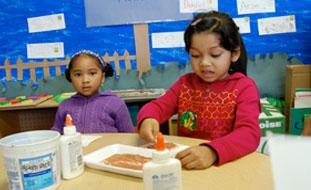 The Oakland Fund for Children and Youth was established in 1996, when Oakland voters passed the Kids First! Initiative (Measure K), an amendment to the City Charter, to support direct services to youth under 21 years of age. In a special election in 2009 Measure D replaced Measure K and reauthorized funding for the Oakland Fund for Children and Youth for an additional twelve years (2010-2022). Measure D (formerly known as Measure K) sets-aside 3% of the City's unrestricted General Fund and requires a three-year strategic plan to guide the allocation of funds. If you want to learn about upcoming events or learn about funding opportunities, join our mailing list. Get to know some OFCY grantees and their work in the community! The next regular meeting is scheduled for Wednesday, May 15, 2019 from 6:00 to 9:00pm at Oakland City Hall, 1 Frank Ogawa Plaza, 2nd floor, Hearing Room 4, Oakland, CA 94612. OFCY is recruiting for its 2018-2019 Planning and Oversight Committee (POC)! This important Committee decides how to allocate 3% of the City’s unrestricted general fund revenues to support Oakland’s children and youth. The POC is made up of 17 members appointed by the Mayor and City Council, at least 8 of whom are youth. Regular meetings are held once per month, usually at Oakland City Hall, and subcommittee meetings are held as needed. Adults and youth interested in children and youth issues and who live in Oakland are encouraged to apply. Youth must be between 14 and 20 years of age. To learn more about the requirements and criteria for Youth POC members and how to apply, click here for the POC Youth recruitment flyer. To learn more about the requirements and criteria for Adult POC members and how to apply, click here for the POC Adult recruitment flyer. The City of Oakland is pleased to release a Request for Qualifications (RFQ) to provide professional services for the Human Services Department for services initiated during the July 2019 through June 2022 period. Services include (but are not limited to) research and evaluation, marketing and communication, strategic planning, training and capacity building for community providers, as well as capacity building for workforce providers and employer engagement. OFCY is specifically interested in evaluation, marketing and communication and training/capacity building services. For more information, please click here. The RFF has closed. Proposals were due by 5:00pm on January 25, 2019 in response to the Oakland Fund for Children and Youth (OFCY) 2019-2022 Request for Proposals (RFP) to solicit program proposals from non-profit organizations and public agencies to provide services to children and youth in Oakland, California. For updates on the review process and funding decisions, please sign up for the OFCY mailing list on the left side of this website.